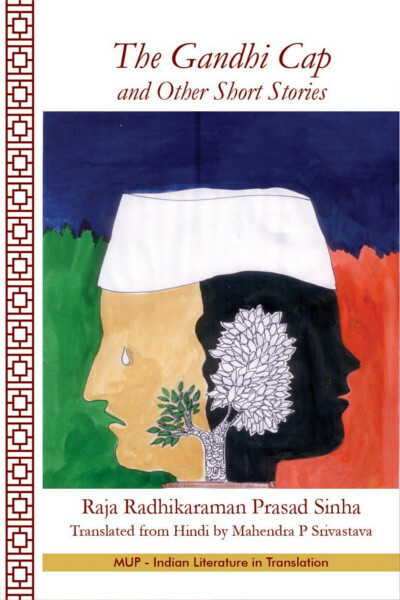 The book The Gandhi Cap and Other Short Stories offers a glimpse into the lifetime of work of a forgotten pioneer of Hindi fiction, Raja Radhikaraman Prasad Sinha. The stories in this collection are a testament not only to the contributions of Sinha to Hindi fiction but also, reflect the depth of political and social milieu of the times. It is ironic that one cannot find a single book by this author who was so dedicated to Hindi literature. Many readers will be moved by the elements patriotism, feminism, secularism, and spiritualism in these stories. Strong female characters are common in most of these stories. These characters provide both a moral fulcrum to the stories as well as reflect the struggle of women to balance prevailing customs with modernity. Some of these stories provide sharp political and social commentary that still have currency (The Gandhi Cap). Sinha incorporates a unique style of writing that uses lyrical prose and poetry together. He even employs a dialogue between the storyteller and a social gathering in the form of an epilogue, to offer a discourse on social dilemma about women’s plight to become modern while admonishing them to retain their Indian essence (An Expensive Bargain). We hope the readers will enjoy this wonderful collection. Raja Radhika Raman Prasad Sinha (1937–2008) was an Indian civil engineer and a writer of Hindi literature. Born in Patna, in the Indian state of Bihar on May 26, 1937 as the eldest son of Gorakh Prasad and Umraoti Devi couple, Sinha was the author of several books which included The Gandhi Cap and Other Short Stories and Decoding Rig-Veda: For the Knowledge of Science. After his early education at St. Xavier’s College, Ranchi, he graduated in electrical engineering from Birsa Institute of Technology Sindri and started his career as a member of faculty at Patna Engineering College. Later he joined the Bihar State Electricity Board where he spent the rest of his career before retiring in 1996 as the general manager of Patna Electric Supply Undertaking (PESU). He was married to Vidya Sinha and the couple had two sons and a daughter. The Government of India awarded him Padma Bhushan, the third highest Indian civilian award, in 1962. The Government of Bihar has instituted an annual award, Raja Radhika Raman Prasad Singh Prize, in his honor. He died on March 2, 2008, survived by his wife and children.